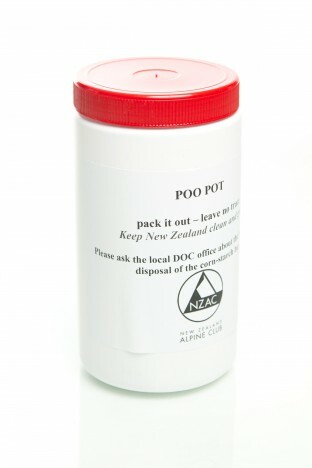 Poo Pots are now availble for purchase online. Additional bags can also be purchased online here (6 bags for $3), or individually from the National Office for .50c each. Pots can also be picked up directly from the New Zealand Alpine Club National Office in Christchurch. See information from Department of Conservation about where to dispose of your waste here. Note: Pots may differ in shape and labelling from the one pictured above.